(RxWiki News) The US Food and Administration (FDA) has approved the first ultrasound device to treat essential tremors. That device is called ExAblate Neuro, and it uses magnetic resonance (MR) images of the brain to know where exactly to deliver the ultrasound. 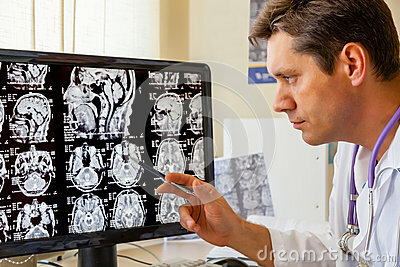 The goal is to deliver the ultrasound to the area of the brain thought to be the cause of the tremors. Then, the ultrasound will destroy the affected brain tissue, which is similar to what occurs with thalamotomy surgery — except this process does not require surgery. InSightec's ExAblate Neuro is approved to treat essential tremor or tremor-dominant Parkinson's disease in those who have not responded to medication. Essential tremors can be treated with beta blockers or anticonvulsant drugs. Essential tremors, considered the most common form of tremor, are estimated to affect several million Americans. Typically those older than 40 are affected by this condition. ExAblate Neuro received approval after it showed a 50 percent improvement in tremors and motor function for those treated with this option. Common side effects were the same as those reported for thalamotomy surgery, including headache, difficulty walking, loss of balance, loss of control of body movements and numbness/tingling of the fingers. This treatment option is not recommended in those who cannot undergo MR imaging. ExAblate Neuro is also not recommended in pregnant women, those with a heart condition or severe high blood pressure, those with a substance abuse problem, those with advanced kidney disease or on dialysis and those with blood disorders (bleeding or blood clotting conditions). In addition, this treatment option is not recommended in those taking medications to reduce blood clots, those who cannot stay in the same position for the prolonged time it takes for the treatment to be completed, and those with a history of strokes or brain tumors.